I’m probably jumping onto a bandwagon with this one, but I actually like Pentatonix, and I have since I first saw them on their springboard to fame, The Sing Off. I will admit, part of why I liked them, at first, was, yes, because they were doing new things people hadn’t realized could be done with a capella, and I appreciate everything that upsets what people think is possible. Their ability to add a techno flavor without any instruments, only their voices, was, to use my most vaunted and academic description, very cool. As the weeks passed and I kept watching them, I grew to appreciate them even more. They had the capability to arrange the songs they covered into something fresh, new, and enjoyable in a live performance. And they did this consistently, giving us something new every week, investing time and emotional energy to their performances, taking risks, pushing the envelope and the pushing themselves. They were good going in, and they were much better by the end. And they had fun doing it! There were some small imperfections, of course. Their lead singer, for instance, Scott, was plenty good, but seemed to only be at his best when he was competing for the spotlight (with the lead vocalists of other groups during their group numbers) instead of automatically having it. And, yes, one could label them “a boy band with a girl” (albeit a beautiful and capable girl) and dismiss them out of hand, but that would be a mistake. You see, this “boy band” is not four or five clones of each other with barely-distinguishable voices singing in unison. Scott Hoying has a slightly higher register for a guy, though not nearly so high as Mitch Grassi’s sweet tenor. Kirstie Maldonado can hit you dead center in the heart with her vocal range, where she can support Mitch’s high notes or go lower, silky smooth and honey sweet. 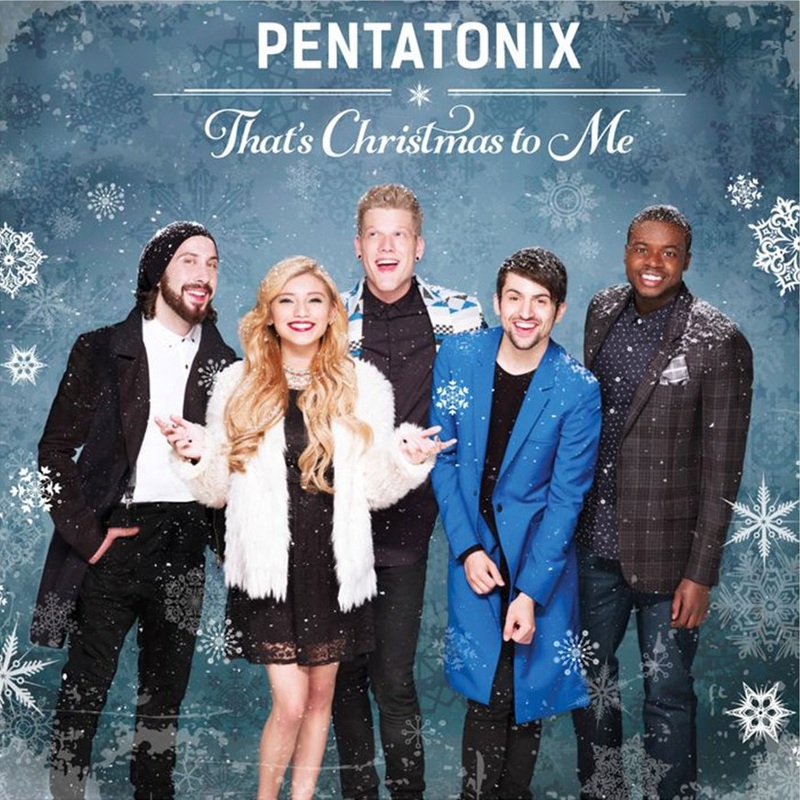 Avi Kaplan provides a deep, resonating bass to balance out the three higher-toned vocalists, assisted by the crazy beat-boxing skills of Kevin Olusola. While the stereotypical “boy band” might, at best, sound nice, the five-part balance of Pentatonix achieves harmony, which increases their range exponentially. In the months and years since their Sing Off debut, Pentatonix has not been idle. They have gone on several tours, produced a few small albums, more than one of which has been Christmas themed, and starred in their own music videos on YouTube at least once every month, usually more. Which brings me to why I’m mentioning them one week before Christmas, directly alongside Mannheim Steamroller and the Mormon Tabernacle Choir. While they have plenty of work to listen to throughout the rest of the year, they’ve Christmas music too. In fact, at time of posting, their last six music videos on YouTube are all seasonally themed, and they’ve released a second Christmas album, and they’ve posted a “Yule Log” video for every one of their Christmas songs, in effect letting us listen online for free, just spreading the joy of Christmas. This entry was posted in Muse-ings and tagged Pentatonix. Bookmark the permalink.